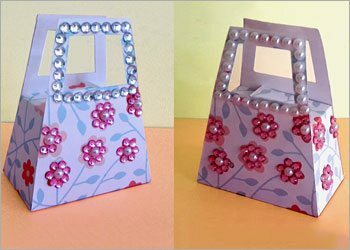 DIY Paper Gift Bag : How to Make Small Gift Bag For Your Special One? 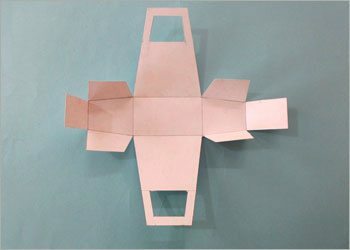 Handmade Gift Box : How to Make Small DIY Paper Gift Bag? We all adorn each other with gifts for various occasions and try to find creative ways to wrap our precious gifts to loved ones. Often, we resort to colourful or expensive gift wrapping paper to wrap our gifts and make them look unique. 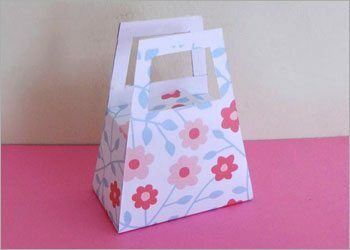 But have you wondered that you can easily make DIY paper gift bag at home? Not only are they inexpensive, but you can also find various creative looking gift bags to make at home, with the usage of some simple accessories at home. The texture design and colour for your gift bag is the most important as it decides how your gift bag should look. Unique designs, colours and texture can be chosen from Graphic Stock. Following are the steps involved in choosing and printing your preferred design and texture for the gift bag. Step 3: Upon account creation, you will be directed to the homepage and dashboard. Step 4: Type in the preferred type of texture design in the search tool box at the top corner of the home page. Step 5: You will be directed to a list of textures and designs. Choose your preferred one and download in JPG format. Step 6: Upon downloading the file on your computer, open the image with Adobe Photoshop and select the appropriate size that you would like to print. Step 7: Now print the chosen design, texture, and size on a good quality white paper. 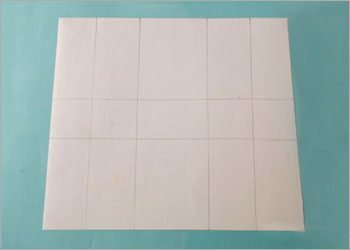 Now since the textured paper is ready, let’s look into other things needed to make your paper gift bag ready. Take the printed textured paper and mark the dimensions of 4cm, 4.5cm, 7cm, 4.5cm, and 4cm horizontally in the same order as mentioned. Now mark the dimensions 8.5cm and 4cm vertically. Cut off the remaining extra paper. 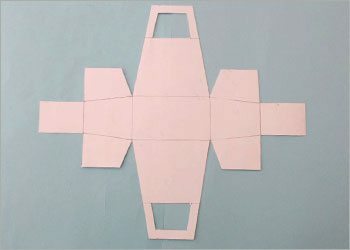 Erase the markings from the corner squares. 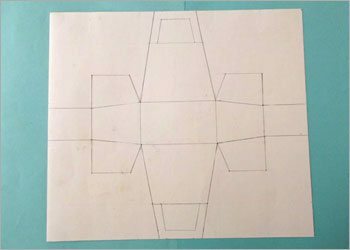 Mark the dimensions to get the pattern for the paper bag. Now cut the boundary of the marking. Slowly run the cutter on the marking to enable easy folding. Do not cut the paper. Apply glue and join the flaps to make the sides of the bag. Decorate the bag with decorative stones and pearls. You can choose to add different coloured stones on the handle and different on the bag. Have a look at the step by step video tutorial on How to make DIY paper gift bag. There you go! Your cute paper gift bag is ready. You can now use this colourful unique bag to place your gift inside and gift it to someone. You can also keep it for yourself for different occasions. How to Make Easy DIY Crepe Paper Flowers for Home Decor! 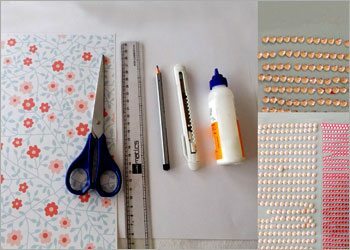 Paper Craft Ideas For Girls : How To Make DIY Clutch Bag!